This video, in our usual amateurish fashion, cobbles together a few moving and still images taken over five days in southern Tasmania. The plan was to walk from Scotts Peak dam to Lake Oberon and back over 5 nights. We were fully aware the weather forecast was bad but had good gear and equipment, a flexible plan and some experience bushwalking in Tasmania. This video (hopefully) tells the story of the journey. We made a few mistakes, lost a bit of gear and suffered a couple of injuries. We will deal with these in a seperate article maybe titled “Lesson Learnt” or 25 things not to do in the Western Arthurs……. Due to a severe cold front and low pressure system we ended up staying at Lake Cygnus for two nights. The snow and wind conditions would have been too tough (let’s say dangerous) for us to walk from Lake Cygnus to Lake Oberon. We have saved that for another day. Grant was a terrific companion, so many thanks to him for his patience and the joy he shared for life. We have both returned invigorated and refreshed from this trip. Highly recommended, but only for those with experience, good gear, solid equipment, excellent planning and good weather. 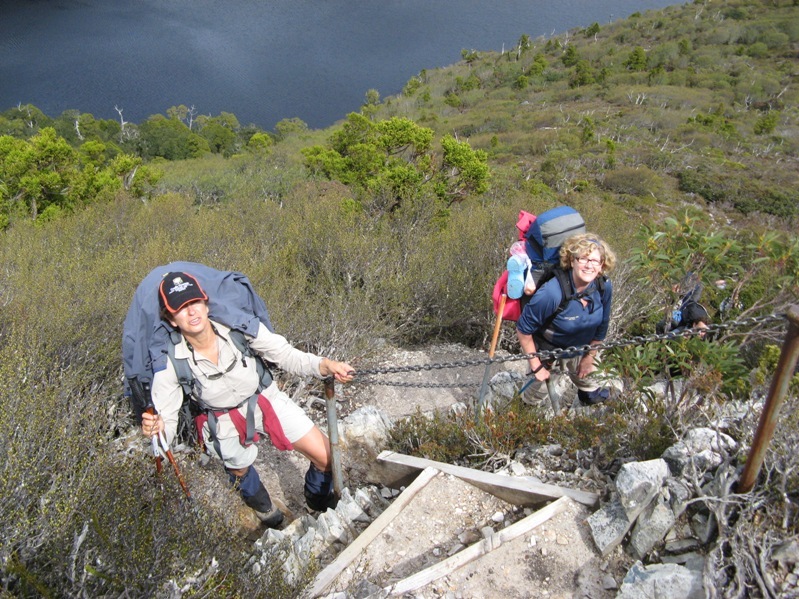 If you are a backpacker visiting Australia this walk is not for you unless are experienced in Tasmanian conditions. The weather can be like we enjoyed any time of the year, not just Winter. 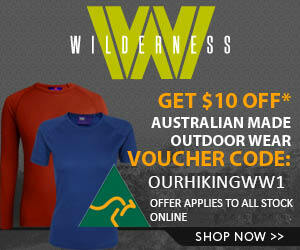 Have you ever hiked or bushwalked in conditions like this? Have you walked in the Western Arthurs? Been into Lake Oberon? Shoot us a reply below, we would love to hear about it. Have seen the Victorian alps fairly similar in December. Luckily we had finished the walk but couldn’t drive over Mt Skene because of the snow. Great job Frank and Sue I was really impressed with your effort. That didn’t look easy at all. I am reminded that Tasmanian weather plays for keeps. I think I will find some money for that GPS, looks like it could be a life saver. Anyway great video. Both our pack covers got blown past Lake Pedder on day two. The wind was pretty strong and even though we had em tied on well, the wind just got them. I also lost one (of course) microspike in the mud / ice on the way back from moraine A to the first campsite. We were in bog up to our knees for a while there. Finally, (stupidly) we have always just slid the tent poles on the outside of Sue’s pack. (you will see them in the video) She fell / slid a few times and they fell out at some point. Grant went back for about 30 minutes and could not find them. Lucky it was on the last day. Frank what did you think of the microspikes? I was thinking about getting a set. Love the microspikes. They were perfect for this trip as up on the ridge there was a lot of shallow snow but heaps of ice. They worked really well giving us a good (but not like crampons) grip. This was especially on rocks that were covered in ice. They also came into their own descending the track from moraine A. It was snowy and icy and they just gave us extra confidence to walk and not worry too much about slipping. My only regret is that one got loose (i.e. rotated on my foot) and because my hands were so cold I could not be bothered to stop and fix it (or take it off) 10 minutes later I noticed it was gone , presumably in a bog hole somewhere. p.s. on a winter trip on the Overland we slipped and slided on icy rocks for hours before we had them. They would have worked really well in those conditions. Did you manage to get that muscat up to room temperature? Still getting a couple of toes and a finger up to human temperature……..
Before I read your comments I saw the tent poles in the video and made a silent wish along the lines of “oh no, don’t lose those poles”. Such a tough trip – fantastic to share it from the comfort of my office I would have shed many a frozen tear in those conditions. Yes Garry you are spot on. It has been a “thing” in my mind that it is a stupid place to carry them without any additional means of keeping them secure. You learn by your mistakes. Won’t happen again.